One thing that has driven us absolutely crazy over the past few years is Disney going to a standard cup for all of it’s onsite resorts. Gone are the days of cups unique to each hotel and instead we’ve received a rarely-changed design that is ubiquitous across property. 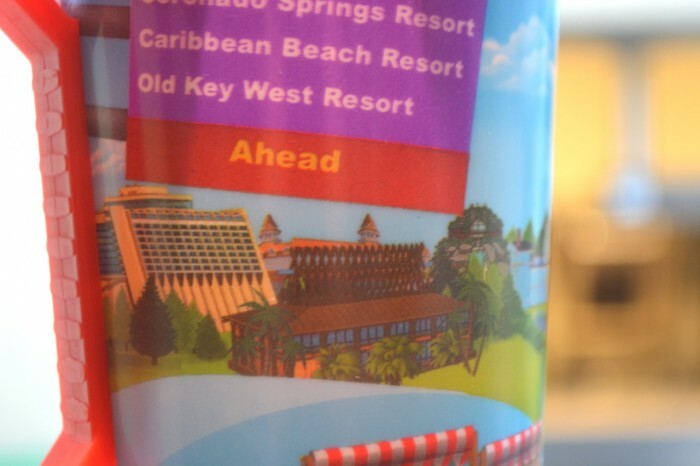 Compare this to Universal’s Cabana Bay Beach Resort,which just opened last year and already has had four different designs for its refillable mugs including TWO Christmas-themed designs. 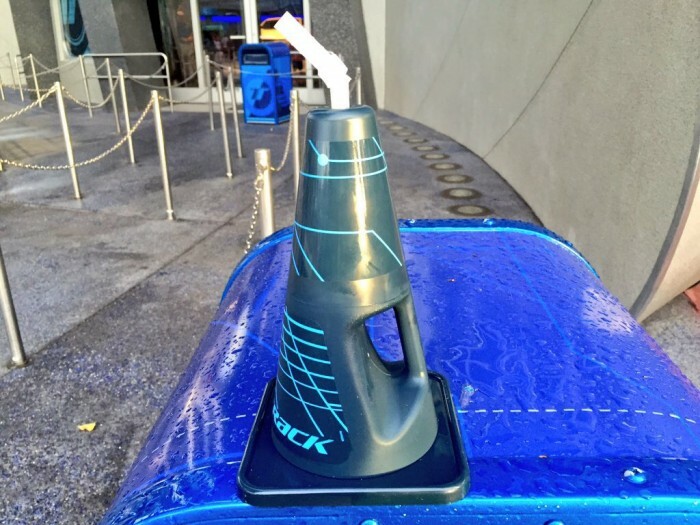 Recently Disney introduced a new refillable cup for its onsite hotels, and while we still wish each resort had its own, this is a humongous step in the right direction. 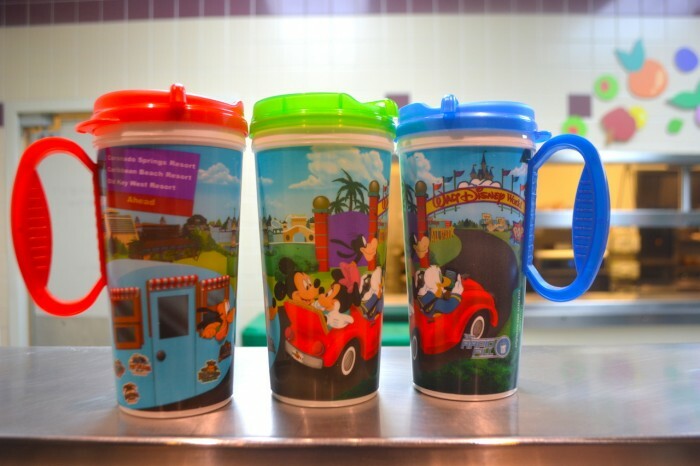 Walt Disney World refillable mugs. What makes this cup so great is all the little details throughout. First it has Mickey, Minnie, Donald, Goofy, and Pluto driving through a stylized version of the iconic Walt Disney World sign. Who doesn’t get a smile on their face when driving past this sign? The cup even has Donald taking a picture of it with his phone, something all of us have done as well. 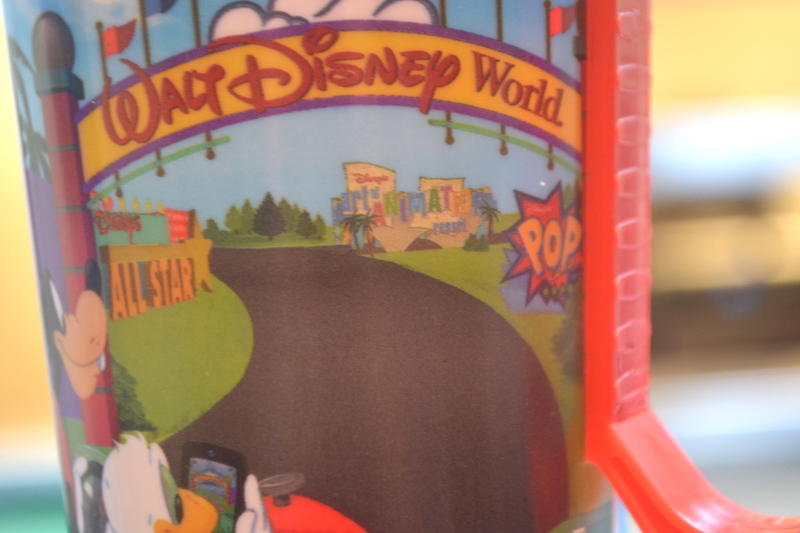 The road ahead of Mickey and the gang features Disney’s Value Resorts including Art of Animation, Pop Century, and the All-Stars. 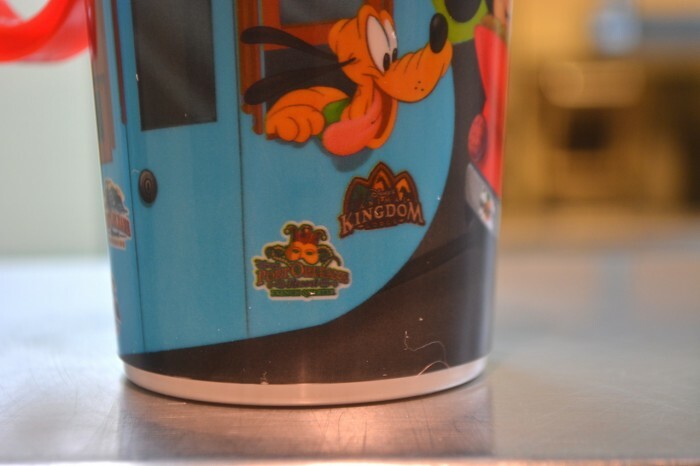 This section of the cup features a look at a purple Disney road sign (featuring shout outs to Coronado Springs, Caribbean Beach, and Old Key West) as well as representations of Disney’s monorail resorts (The Contemporary, Polynesian Village, and Grand Floridian). Here we have a look at the Wilderness Lodge, Beach Club, Yacht Club. and the Boardwalk. 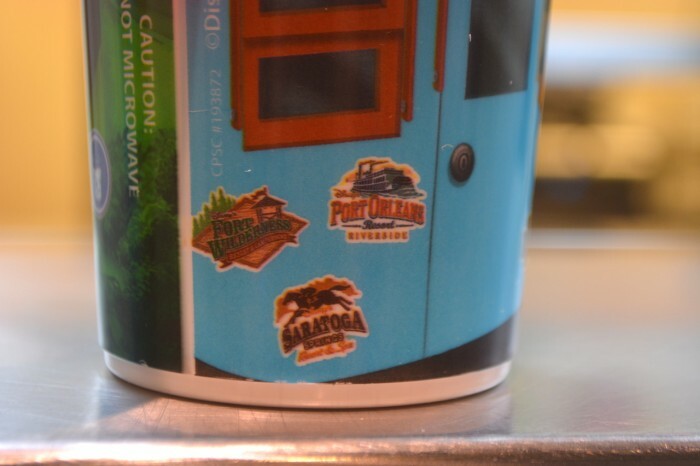 The stickers on Pluto’s trailer are also for Disney resorts, including these for Fort Wilderness, Port Orleans Riverside, and Saratoga Springs. Along with these for Port Orleans French Quarter and Animal Kingdom Lodge. 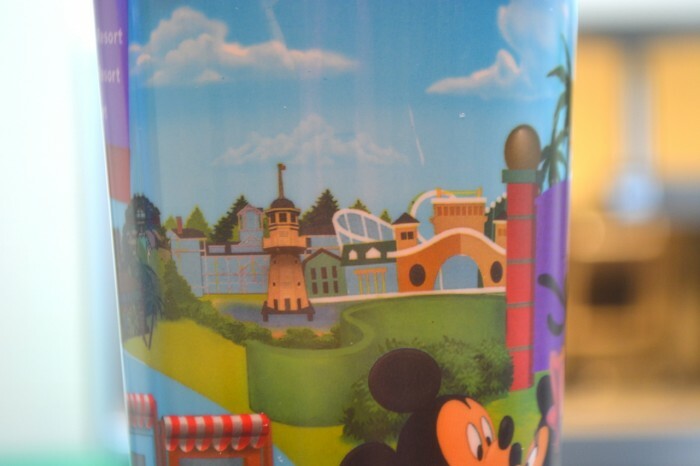 Just an INCREDIBLE cup that may not be exclusive to any one resort, but it feels unique and will remind guests of their WDW stay even as they are sipping hot chocolate out of it as its snowing outside in February. You done good Disney, you done good. 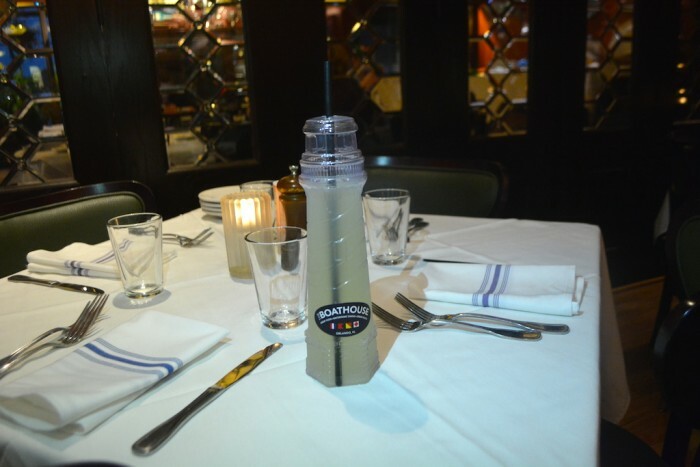 There is no bigger fan of The BOATHOUSE at Disney Springs than us, and while we thought the Baked Alaska was impressive, what we really enjoyed was discovering a wonderful Lighthouse souvenir cup. 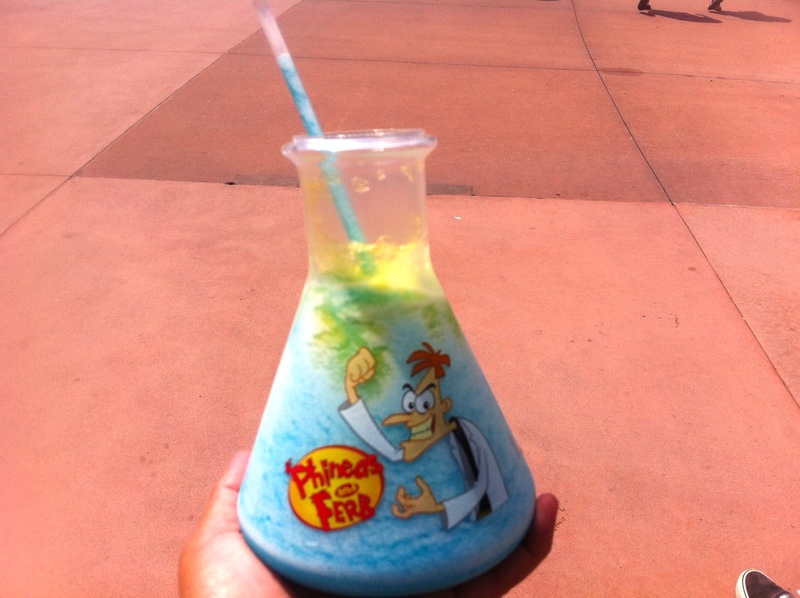 The Lighthouse cup operates similar to the Coconut cup from Castaway Cay in that you unscrew the top to add in the liquid, but the Lighthouse cup allows you to put in much more soda. Great theming and more soda? Sounds like a winner to us. The Lighthouse cup (with lemonade) at The BOATHOUSE. 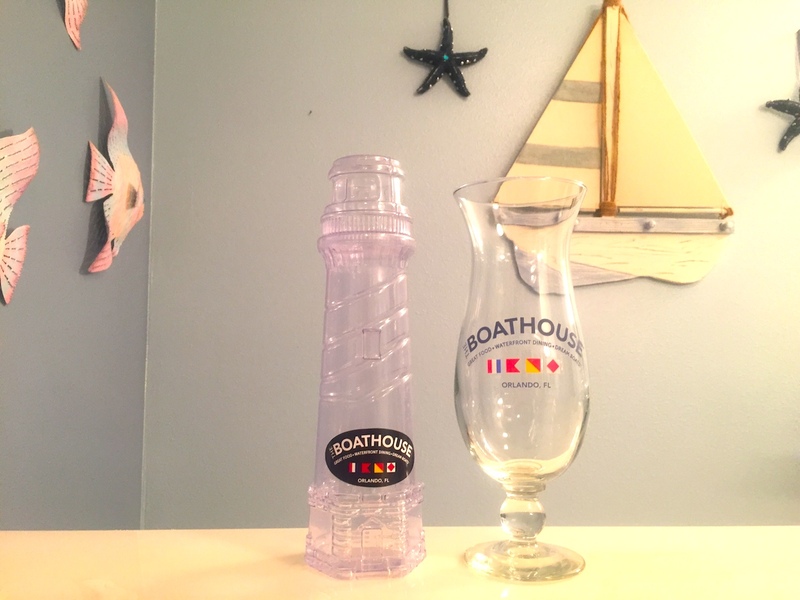 The BOATHOUSE Lighthouse and their standard souvenir cup. 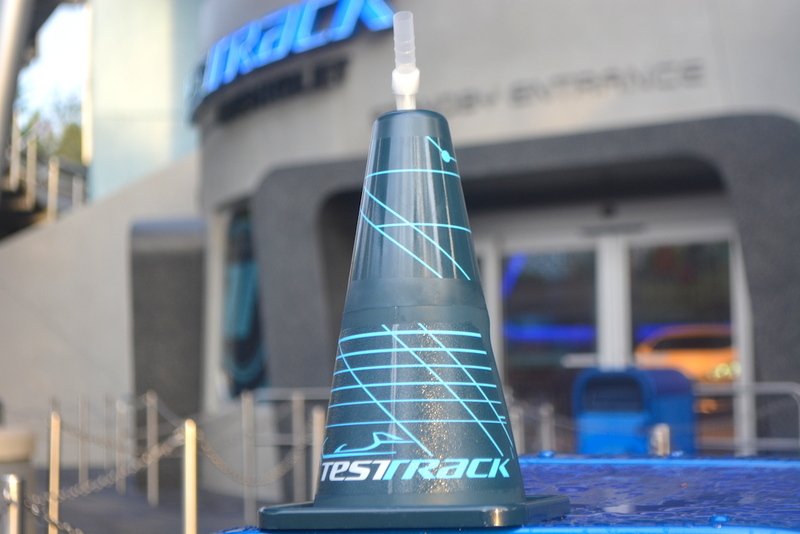 The Test Track Cone cup bears more than a little resemblance to the Cozy Cone souvenir cup that made its debut with Cars Land back in 2012. However, our cone cups at WDW have more of a “Tron” feel and that makes them inherently cooler. Yes, Splitsville at Disney Springs is a great place to go bowling, but don’t count it out if you’re looking for a place to go out for a meal. The menu is shockingly tasty (one of the best pizzas on property, terrific burgers, and who knew the sushi would be good. The sushi!) 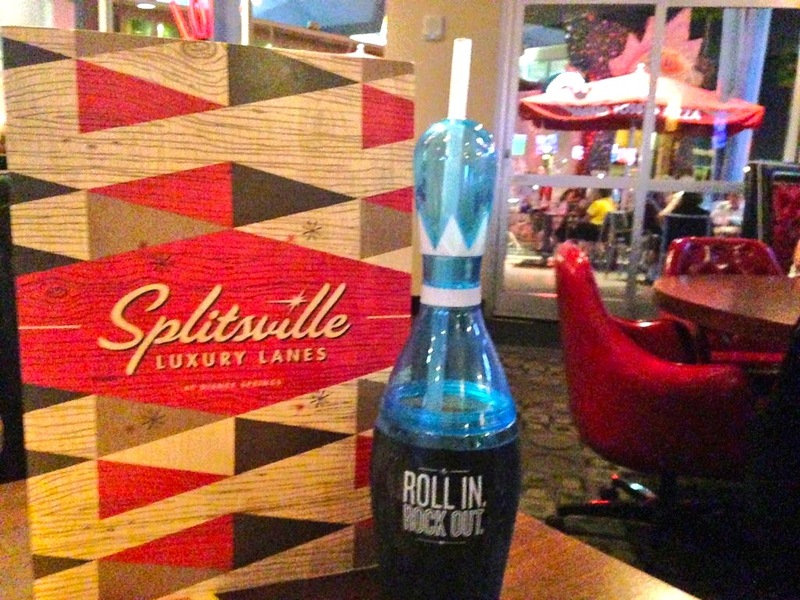 The Splitsville Bowling Pin is a fun cup, perfectly themed to the restaurant. 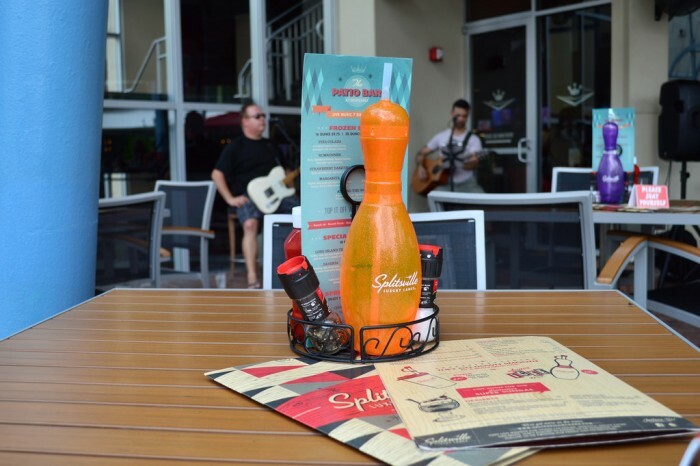 Splitsville is also blessed to be one of the only places on Disney property to have Coke Freestyle machines. Buying the pin gives you free refills all day long, so keep that in mind if you’re planning a day at Disney Springs. 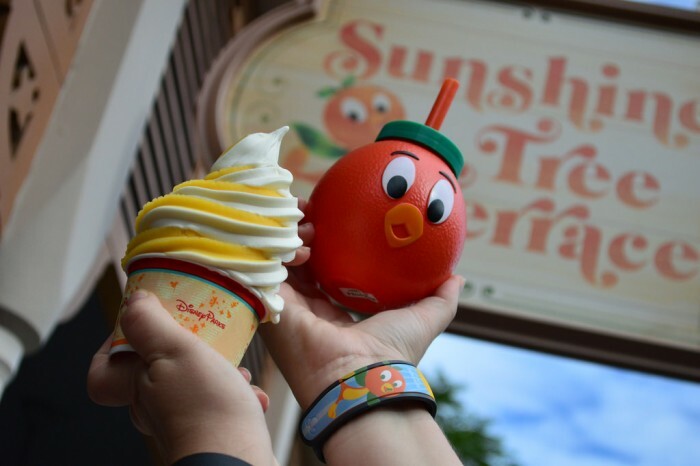 The Orange Bird sipper at Sunshine Tree Terrace is one of our all time favorite souvenir cups at WDW, but also one of the hardest to get as it constantly sells out. And why wouldn’t it? We don’t use the word cute often, but that’s the cutest cup we’ve ever seen. Look at this cup. What else needs to be said? 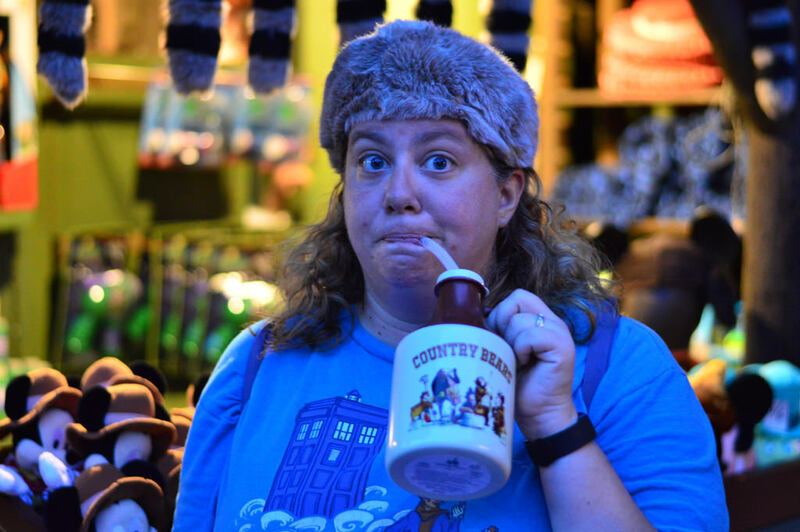 A souvenir cup at Magic Kingdom that looks like a jug of Grandpa’s ol’ moonshine. 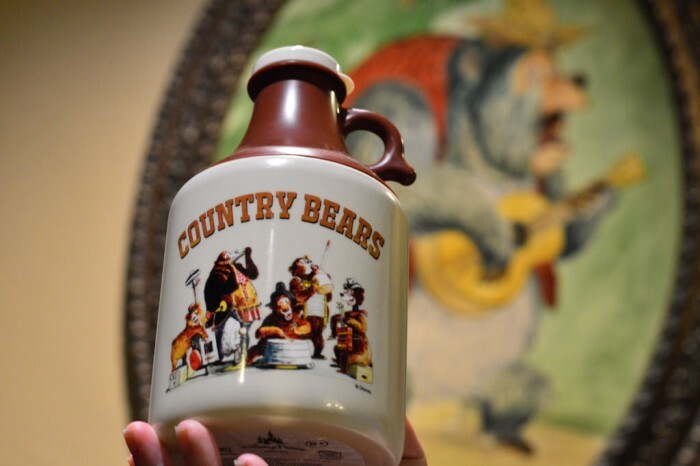 The Country Bears Jug is perfect. The souvenir stein available for drinks at Gaston’s Tavern is sharp. Remember back when Disney unveiled the concept art for New Fantasyland and it looked like kids were drinking beer? Disney actually came up with a great looking stein that definitely looks like something Gaston would have in the Beauty & the Beast film. 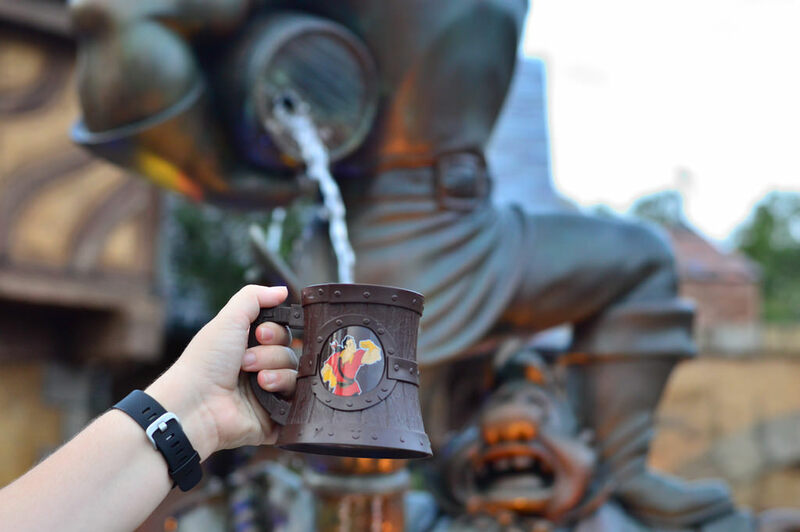 The mug itself has been repurposed in other areas of the park, with pictures of other characters instead of Gaston. World Showcase in EPCOT allows guests to sample incredible food and drinks from around the world. Who doesn’t want a margarita with chips and guac in Mexico? A hand twisted pretzel and beer in Germany? A pizza at Via Napoli. All incredible. 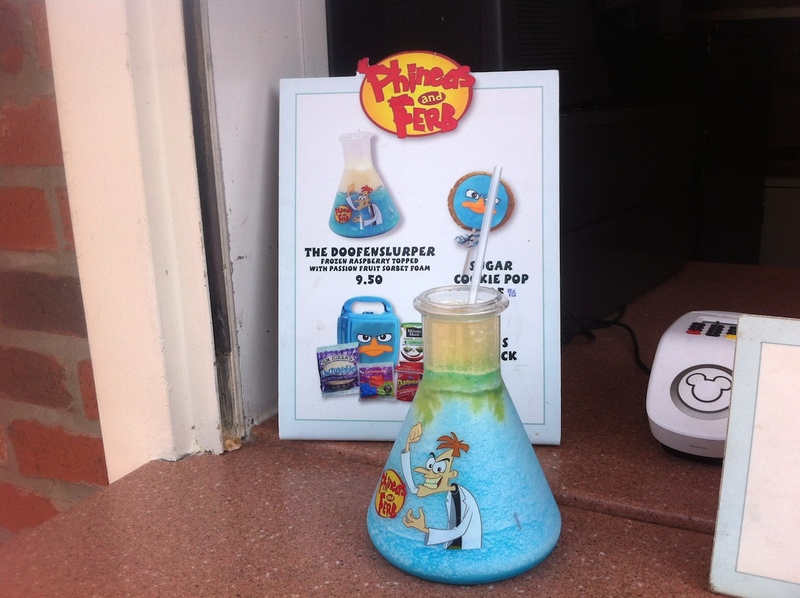 Then you get to the American Adventure and our offering to the world is The Doofenslurper. Served in a unique beaker, where the Doofenslurper falls apart is what it holds. The ingredients say it contains frozen blue raspberry topped with passion fruit sorbet foam. We’ll take their word for it. The Doofenslurper at EPCOT’s American Adventure Pavilion. There may not be blood on the saddle, but there is soda in that jug! Hard to believe there is no mention of Trader Sam’s. My Krakotoa Punch mug is about 3000 times cooler than that road cone. 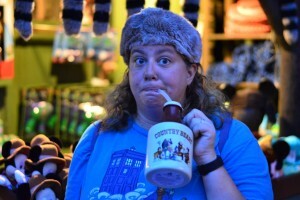 I was going to put in a line explaining what I feel the difference is between souvenir cups and souvenir mugs. The latter of which would have alcohol and include all the options at trader Sam’s and Jock Lindsey’s Hangar Bar. Granted the Polynesian Pearl is closer to the Orange Bird Sipper than the Nautilus, but that’s where my line is. If you are looking directly at the entrance of Test Track, to your right is the new Grilled Cheese place Taste Track, and across from that is Cool Wash, where the Cones are sold. Also, nice Dr Who t-shirt! There is a snack cart right outside the Country Bears Jamboree in Frontierland that sells them. The jug is awesome, and I’m so lucky to have received one as some limited time magic last month. I really enjoyed sipping from it in my pirate garb at the halloween party. Oddly, a few weeks before that, we also found a Big Al bank from the 70s sitting at the curb in our neighbourhood. I really like that even decades apart in release dates, they look totally natural side by side. And you know we bought the nautilus and the zombie head too, because they’re impossible to pass up. I’m less tempted by plastic things that will be clumsy to clean, drink out of, or even look at on display, but the jug gets the pass there.